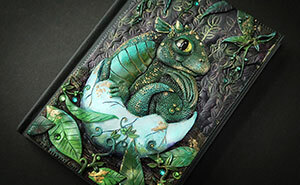 Body art has become very popular in the media, but the works of Trina Merry from San Francisco and Emma Hack from Adelaide (Australia) has raised the bar even higher. 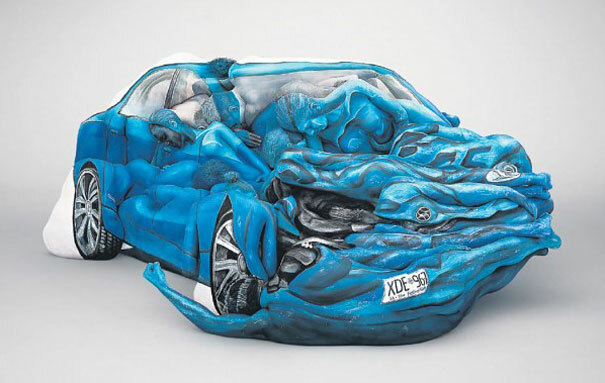 By combining their amazing body painting skills and the athleticism of their models, the two artists managed to transform groups of people into a wrecked car and three different types of motorcycles. The first project by Trina Merry and her ART ALIVE gallery was created to promote the International Motorcycle Roadshow tour starting November 2nd. Trina did an amazing work painting a group of yoga instructors, circus performers and models to transform them into three different types of motorcycles, all managed by Erin Bates, a motor cross celebrity. These human motorcycles were created to promote the International Motorcycle Roadshow tour starting November 2nd. Can you count how many girls are in each photo?